AS a teenager I loved to ride my cousin’s Vespa Scooter on the driveway of our house in PECHS, Karachi. That was no problem as I was doing it in the privacy of our home. It didn’t become a cultural aberration either because my parents had by then resigned themselves to my interest in ‘unladylike’ activities such as cricket and cycling. However, the past is another country, as they say. I can well rejoice in my lifetime at seeing the so-called male activities of yesteryear being adopted by women today. We have women’s cricket and hockey teams, though they came belatedly, after a struggle. My other pastime, driving a Vespa, didn’t seem to be so impossible either when I attended a talk by Mansoor Raza, a lecturer at NED University. Speaking about Karachi’s planning, Mansoor pointed out that in a survey conducted by the Urban Resource Centre under Arif Hasan’s guidance, it was found that 60 per cent of the women (most of them young girl students), said they would like to ride a motorbike to commute to university. That would facilitate female mobility and thus empower women further. What stops women from riding a motorbike? According to Mansoor, the women he talked to (even female health workers in Hyderabad and activists in the rural areas of Sindh) said their main problem was that the motorbikes we have today in Pakistan are not easy to manage for them, mainly for sartorial reasons. In the West, women who ride motorbikes wear trousers that are comfortable and safe in every way. The shalwar kameez as is commonly worn can be hazardous for a motorbike rider. The Vespa I rode was no problem because I could plant my feet on the footboard in front. In other words, either the motorbike manufacturers will have to work on the design of their product or dress designers should address this problem. Motorbikes are not easy to manage for sartorial reasons. The main issue at the heart of the matter is traffic management in Karachi. 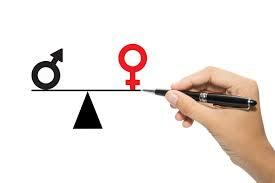 It is tyrannical and unfriendly to women and the low-income classes who constitute nearly 70pc of the population. Defying all rules of logic, 88pc of the registered vehicles are privately owned cars and motorbikes. Public transport comprises only 7pc of the traffic in Karachi. As a result, those who depend on public transport for their mobility are put to serious inconvenience which adversely affects the quality of their life and restricts their choices in terms of jobs and residence. They have to spend a big chunk of their day (sometimes as many as four hours) commuting to work and back. We can add to that factors like overcrowding in buses, financial losses to people due to dishonest conductors and pickpockets, physical injuries caused by damaged, ill-maintained buses and uncaring drivers in a hurry and women’s mental agony of facing sexual harassment. A journey by public transport in Karachi is indeed a nightmare for commuters. This is not a new phenomenon. 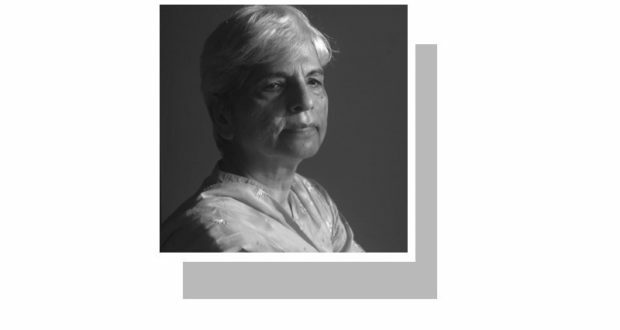 It has existed for decades and the situation has been deteriorating with the passage of time given the lack of political will to reform the system. We now see people on the borderline with some resources turning to the motorbike solution. This is not an ideal solution given the pollution this vehicle causes in the air and congestion on the road, and its high accident rate — more than a third of fatal accidents are caused by motorbikes. Yet for desperate commuters the advantages of flexibility and saving of travelling time and the lowering of cost of commuting to work are worth the initial investment of buying a motorbike. Small wonder the number of motorbikes on Karachi’s roads is growing much faster than was calculated. In 1990, Karachi had 450,000 registered motorcycles. In 2004, this figure had increased to 500,000 and in 2010, the figure was just over a million. If this trend continues, by 2030 it is estimated that Karachi will have 3.6m motorbikes. If the authorities are not in a position to address Karachi’s traffic management problems they might as well look at the motorbike solution, which should also focus on the special needs of women. As the first step, the Karachi police need to look into the traffic problems caused by the ubiquitous presence on city roads of motorbikes. In December, a special motorbike lane was launched in Karachi on Sharea Faisal. A law requiring all motorcyclists to wear helmets is also in force now. So far these moves have proved futile in bringing some sanity to our roads. If women have to be offered a fair chance to use motorbikes, it is important that scooters are introduced. It is time the authorities realised that transport is a formidable challenge that is destroying Karachi. NB: The URC survey was held in 2011 but Mansoor Raza estimates the situation to be worse today.